←HAPPY THANKSGIVING! HAU’OLI LĀ HO’OMAIKA’I! Thanksgiving makes me think of food. And one of my FAVORITE foods is a fresh mango! What’s the Hawaiian word for MANGO?? **Crooner Update: YOU ALL ARE GREAT! Not one wrong answer in the bunch! How do you do that? Indeed, the correct answer is MANAKŌ. And mahalo to those of you who not only shared the answer, but also your thoughts, too! I love that! This week’s winner, chosen randomly thanks to the technology at www.random.org is… (Drum roll, please…) KATHY! 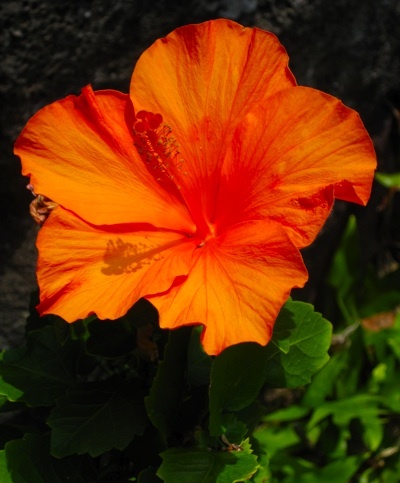 I’m so glad you guys took a moment from your busy ALOHA FRIDAY to take TAHC’s ALOHA FRIDAY TRIVIA CHALLENGE! This entry was posted on Friday, November 26th, 2010 at 8:11 PM and is filed under AHC Home. You can follow any responses to this entry through the RSS 2.0 feed. Both comments and pings are currently closed. word is Manako, probably a “created” Hawaiian word, since Mango is not native to Hawai’i. And if you love Mango then, like me, you might LOVE chicken and mango sausages! We have choke baby mango hanging on the trees already, and June/July looks like it will be a juicy fragrant month. At least the ones in Hawaiʻi are. I bought one at the market here and let it ripen but alas it was rotten!